On Friday night, the Buffalo Bulls will go on the road to take on the Miami OH Redhawks. Buffalo is ranked 21st with a 25-3 record and is in 1st place in the MAC East. Miami OH comes in with a 15-13 record and is in 4th place in the MAC East. Buffalo is coming off a 77-64 win over Akron on Tuesday night. The Bulls trailed by 1 at the half but used a 42-point 2nd frame to take the victory. Nick Perkins led the team with 25 points on 8 of 15 shooting to go with 5 boards and 2 assists. CJ Massinburg added 23 points on 6 of 10 shooting and led the team in both rebounds and assists with 10 and 6, respectively. Jayvon Graves was the only other Bull in double figures with 14 points on 6 of 10 shooting to go along with 7 rebounds and 5 assists. Miami OH is coming off an 82-69 win over Bowling Green on Tuesday night. The Redhawks got out to a 6-point halftime lead and never looked back. Nike Sibande led the way for the Redhawks with 20 points on 6 of 18 shooting and tied for the team lead in rebounds with 6. Dalonte Brown added 15 points on 5 of 11 shooting and Mekhi Lairy added 12 points off the bench. Jalen Adaway chipped in 11 points on 5 of 5 shooting and tied for the team lead in rebounds with 6 off the bench. Darrian Ringo led the team in assists with 9 to go along with 5 points and 3 rebounds. 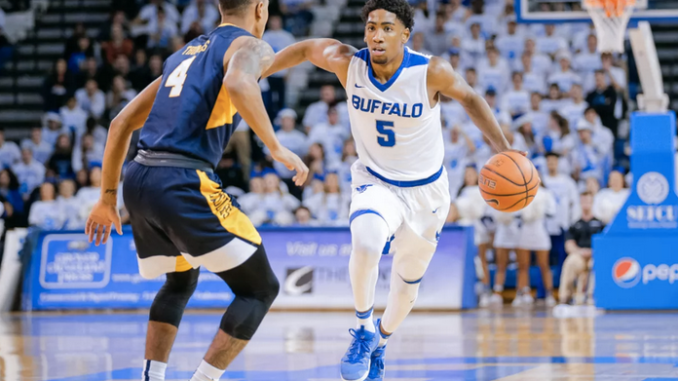 Buffalo is led by superstar CJ Massinburg, who averages 18.7 points per game, 6.3 rebounds per game, 3 assists per game, and is shooting a team-high 43.4% from 3-point range. He is followed by Nick Perkins, who scores 14.5 a game and grabs 7.4 rebounds a game to lead the team. Jeremy Harris is the only other Bull averaging double digits with 13.2 a game and also adds 6.3 rebounds a game. Davonta Jordan is the leading assister with 3.8 a game. Dontay Caruthers adds 9.3 points a game and is shooting 43.8% from deep. Buffalo is scoring 85.4 points per game on 46.6%, and they are holding opponents to 70.6 points per game. Buffalo is 10-3 on the road this season. Miami OH is led by Nike Sibande, who is averaging 15.5 points per game to go along with 4.7 rebounds each contest. Dalonte Brown is the only other player averaging double figures with 12.1 a game and a team-high 5.4 rebounds per game. 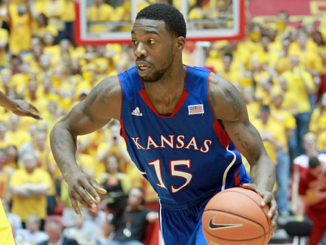 Bam Bowman is chipping in 9.9 points and 5.1 rebounds a game and is shooting a team-high 40.3% from 3-point range. 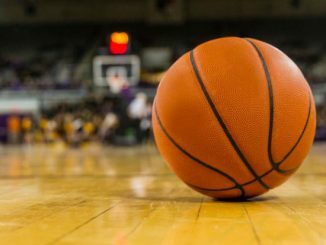 The Redhawks are averaging just 72.3 points per game on 43.3% shooting and are allowing opponents to score 69.1 points a game. The Redhawks are 10-3 at home this season. Buffalo comes in at -8.5. The Bulls have been ranked all season long and are just a class above all the other teams in their conference. They have been solid on the road and should put up a ton of points against this Miami OH team that doesn’t play incredible defense. Also, the Redhawks have not been incredible on offense this year and could have trouble scoring on the Bulls. Buffalo should get out to a fast start in this one en route to a double-digit victory. Take Buffalo -8.5.